Dr Paul Henry Holinger gave his Semon Lecture on the 3rd of November 1960. Within this, he outlined congenital otolaryngological defects and touched on their treatments. He also placed emphasis on the use of endoscopic diagnostic procedures and the collaboration between otolaryngologists and paediatric surgeons specifically, and between general medicine, surgery and otolaryngology in general. Paul Holinger was born on the 13th of March 1906 in Chicago, Illinois, United States of America. 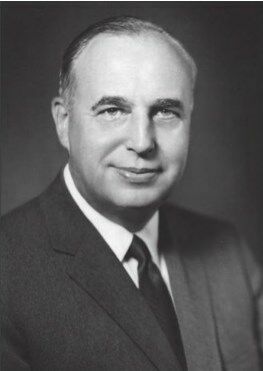 His bronchoscopic abilities placed him at the forefront of otorhinolaryngology and as such, he was a member of all the relevant societies in America as well as a great number internationally. His work with endoscopic photography culminated in many national and international awards.